Are you counting the days until you’re summoned to the middle of the dance floor for your wedding dance? If you’re engaged to be married and would like some help with your wedding dance, you’ve come to the right place. Preparing for a wedding dance is a wonderful way to make time for each other leading up to your big day. Our mission at Dance Passion is to make your wedding dance easy, unique and memorable. You will find an ultimate flexibility in scheduling and our convenient location on Central Avenue makes it easier to work around daily commitments. We can customize and choreograph a routine for your first wedding dance with your selected song choice. For those wedding couples who want to go all out on the dance floor, leave it to us. Others may just want some general dance moves to feel more comfortable in their partner’s arms, so feel free to ask our instructors about learning to dance socially at your wedding. Additionally, your instructor will take some video so you can practice at home together. Make practicing fun and romantic; this may entail moving some furniture! A wedding is a very important life event and we are committed to helping you look and feel great together on the dance floor. Many of our wedding couples have absolutely no prior dance experience, so let us assist you in creating a moment you will remember for the rest of your lives. Tell us your vision and let us make your dreams come true for your first wedding dance! 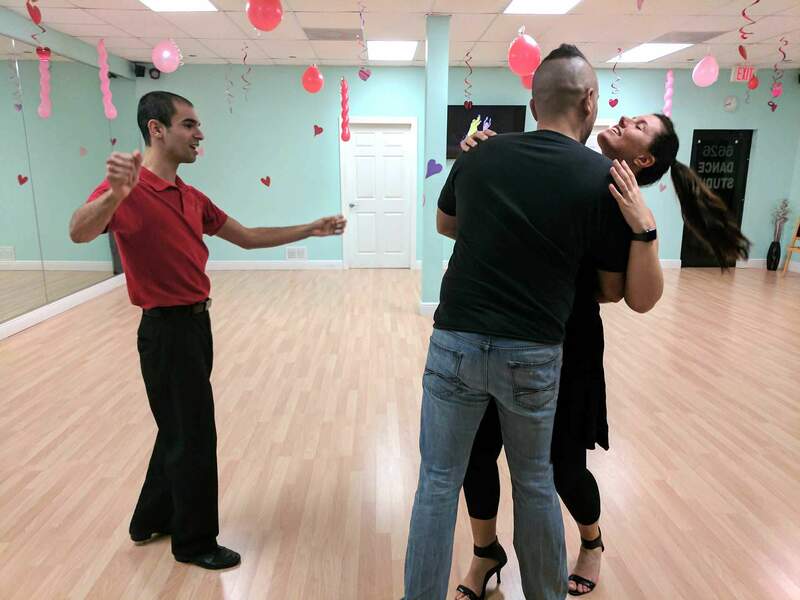 The initial trial lesson serves as an introduction to several popular dances as well as a consultation to better understand your goals. If you do not already have a song choice, your instructor will guide you to selecting a good song. Sign Up For A Trial Private Dancing Lesson Here!